Prior to his election as president, Mark Ramsankar served five terms as a vice-president of CTF, where he chaired the CTF Advisory Committee on Aboriginal Education. In 2013, he was elected president of the Alberta Teachers’ Association following two terms as vice-president. 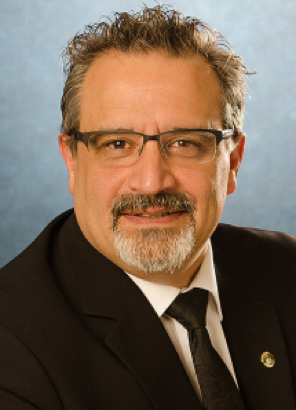 Since 1986, he has worked in the field of education and served Alberta teachers, garnering experience as an educator, assistant principal, and leader of teachers’ associations at the local and provincial level. While representing teachers across Canada, he continues to focus on developing meaningful relationships among teachers, education leaders and colleagues from the provincial, national and international education community. Founded in 1920, the Canadian Teachers’ Federation is a national alliance of provincial and territorial Member organizations that represent over 232,000 teachers across Canada.